You are probably wondering what is grass jelly? Grass jelly, or Sương Sáo, is a black gelatin that begins with boiling the leaves and stalks of the Chinese Mesona plant, a mint family member. The deep dark black tea is then filtered and a bit of starch is added to gelatinize. Once the mixture is cooled, it is cut into cubes and used in many desserts and drinks in China, Hong Kong, Taiwan and Southeast Asia. Grass jelly is served as the one of the many toppings in Bubble Tea/Boba shops. 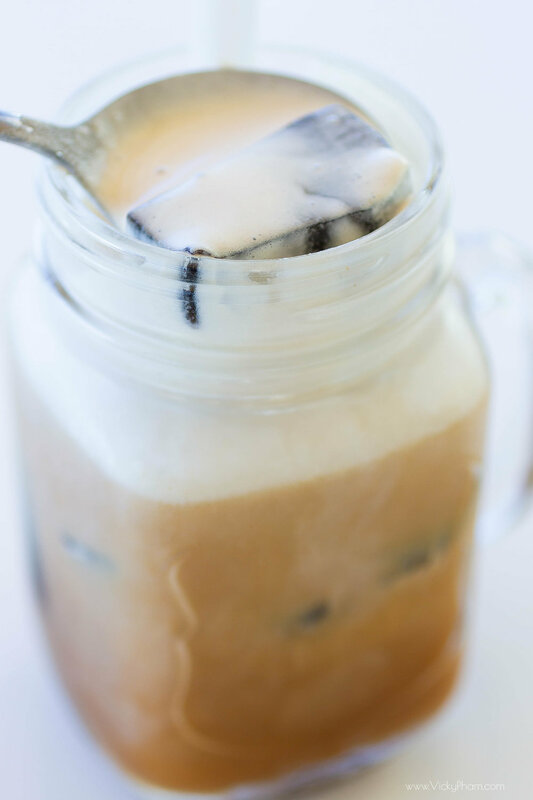 Having a cold sweet drink with grass jelly is a great way to cool yourself off during the hot Summer days. Grass jelly has many health benefits. It relieves digestive problems. It cures cancer, diabetes, mental illness, and it gives you wings. Its flavor is earthy with a slightly bitter and herbal undertone. For us silly Asians, this makes it a perfect contrasting component in desserts and drinks. Here in the States, grass jelly is found in canned or powdered form. The canned form is already made. The jelly slides out like canned cranberry sauce. Simply dice it up and add it straight to the dessert or drink. The powder form is for those who want to make it fresh or for those who want to adjust the sweetness. The package comes with grass jelly powder, sugar and gelatin. Heat up the powder with water, add the sugar and gelatin, and allow it to set before use. When I return to Vietnam in the near future, I would like to hike the hillside of the Vietnam countryside, pick and dry my own grass jelly plant, and bring it home with me to the States. Until then, the canned version in my local Asian grocery store will do just fine. Steep the tea bags in the boiling water for 3-5 minutes (the longer the better). Refrigerate until cool. Add grass jelly (about 1/4 cup grass jelly), syrup and ice. Top with whipping cream and sea salt.